Ming Wang was born in Taipei, where she studied Chinese music at the Chinese Culture University. 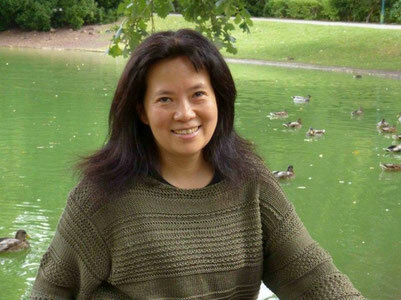 From 1986 she studied composition with Nan-Chang Chien in Taipei, and from 1989 also electronic composition at the University of Music in Vienna with Dieter Kaufmann. In 1997 and 2003, she finished both studies with distinction and received a master's degree in Austria. Wang Ming has worked with renowned conductors, soloists and ensembles. Since 1989, she has been performing in different countries on guzheng and pipa, as well as giving musicological lectures. She teaches traditional Chinese music at the University of Vienna and taught at the Ludwig-Maximilians-University in Munich, Germany. Her instrumental and electronic compositions were performed at renowned festivals, such as the 1997 Keelung Modern International Music Festival in Taiwan, and Vienna Modern, Carinthian Summer, Styrian Autumn in Austria. Ming Wang received the State Scholarship for composers of the Austrian Federal Chancellery, the promotion prize of the City of Vienna, and a Honor Award from the Federal Ministry for Education, Arts and Culture, among others.